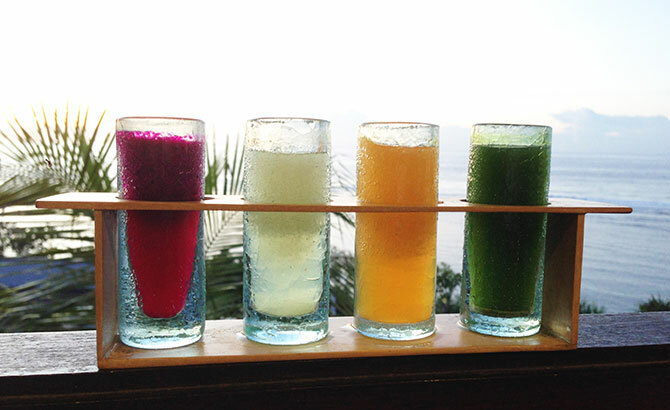 People might assume colorful liquid is unhealthy one, but things work differently at the luxury Bali resort, Samabe Bali Suites & Villas. 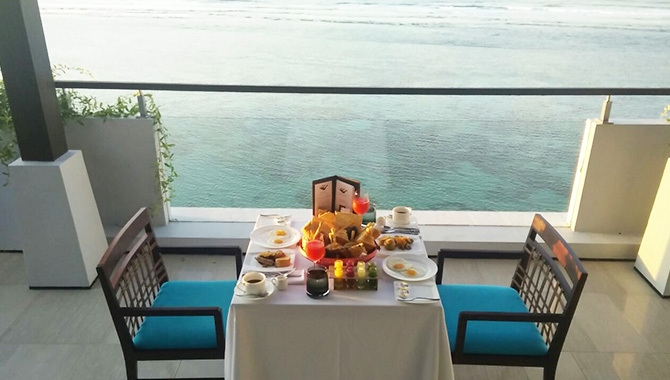 Every breakfast, either it is in the room or in the restaurant, is served with colorful liquid known as vitamin shots. Tashia Yunasz, the Executive Chef, has included this pure fruit essence to the breakfast menu to boost the energy before the guests start their day. "Different to juice, this shot has no other mixture, no ice and no sugar, and it is served in certain measurement that is easier for the body to absorb" said the short-haired chef. The masterpiece thought the concept really well from the serving presentation of the benefits. The vitamin shots are served in a 4-hole tube rack, and they usually have a different color. The team changes the vitamin regularly as long as every mixture contains different vitamin from ABCDE such as celery and dragon fruit. The vitamin shots should be consumed first before starting the breakfast as it will help the body to absorb the nutrition from other meals. But taking pictures and share them on your social media before is not a sin.